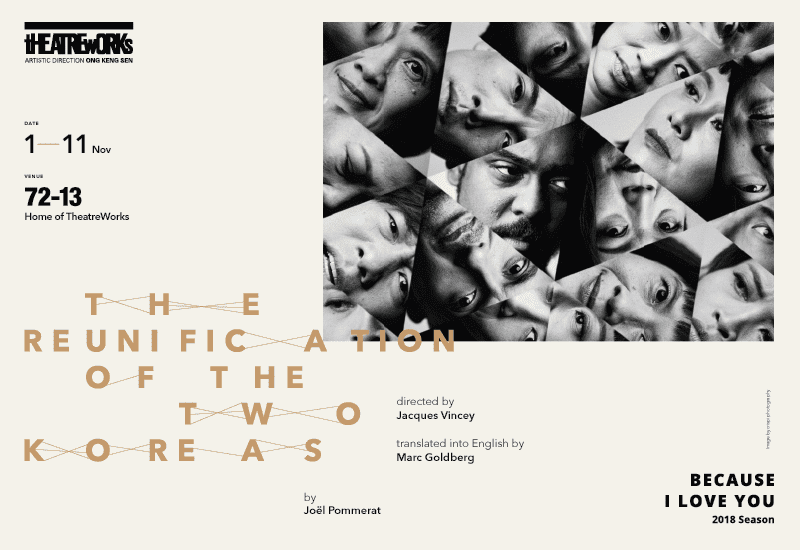 The Reunification of The Two Koreas by Joël Pommerat directed by Jacques Vincey and translated into English by Marc Goldberg is presented from November 1 to 11 at TheatreWorks. The play is a patchwork of twenty short scenes revolving around an unuttered question: what are human relationships made of? Performers: Cynthia Lee Macquarrie, Ebi Shankara, Janice Koh, Karen Tan, Pavan J Singh, Tan Shou Chen, Timothy Nga, Umi Kalthum Ismail and Zelda Tatiana Ng. Co-Produced with Centre Dramatique National de Tours, France and supported by the Embassy of France in Singapore.